Enjoy a cup of tea and a slice of cake with Britain's favourite novelistInspired by the novels and letters of Jane Austen, this collection of cakes, bakes and pastries is based on authentic recipes from the Regency era, which have been fully updated for modern-day cooks. In Jane Austen's day, tea and cakes were usually served after dinner, or to evening guests, but these rolls, buns, tarts, and biscuits will be equally welcome at breakfast, with mid-morning coffee, or for afternoon tea. 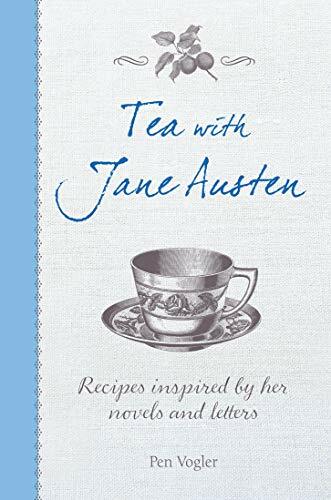 Recipes featured in the book include: English Muffins, based on the muffins served with after-dinner tea in 'Pride and Prejudice'; Buttered Apple Tart as offered by Mr., Woodhouse to Miss Bates in 'Emma'; and Jumbles, inspired by the biscuits enjoyed by Fanny in 'Mansfield Park'. From Plum Cake and Gingerbread to Ratafia Cakes and Sally Lunns 'Tea with Jane Austen' has all the recipes you need to create the finest tea time treats, and the original recipes are given alongside, so you can compare them and appreciate modern time-savers such as icing sugar, dried yeast and electric mixers all the more!